Praise and worship music has always carried a reflection of the places and events around which it was written. Times of great trial have brought songs we will continue to sing through the ages, while seasons of rejoicing and plenty have brought celebration songs reminding us of God's faithfulness throughout time. Off the coast of Newport Beach in Orange County, CA, there are vibrant congregational songs being written for this generation of worshippers of God. Yet interwoven in those songs are timeless themes and anthems for believers for years to come. 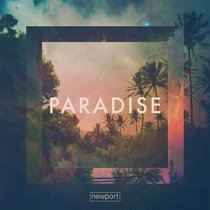 Tinged with West Coast vibes and a distinctive upbeat sound, Paradise is a brilliant collection of encouraging songs for young and old believers, reminding us of the dynamic life we can have through Christ. Newport is the worship team out of Newport Church, founded in 2006 by Jonathan and Dianne Wilson, former Senior Associate Pastors at Hillsong in Australia. Established out of a call from God to begin planting churches, Newport now uses their platform to encourage others to do the same - stepping out and thriving in their purpose. Over the last 5 years, Newport's worship team has grown, beginning by writing songs for their church and now seeing the ways God has worked through those songs even beyond their community.